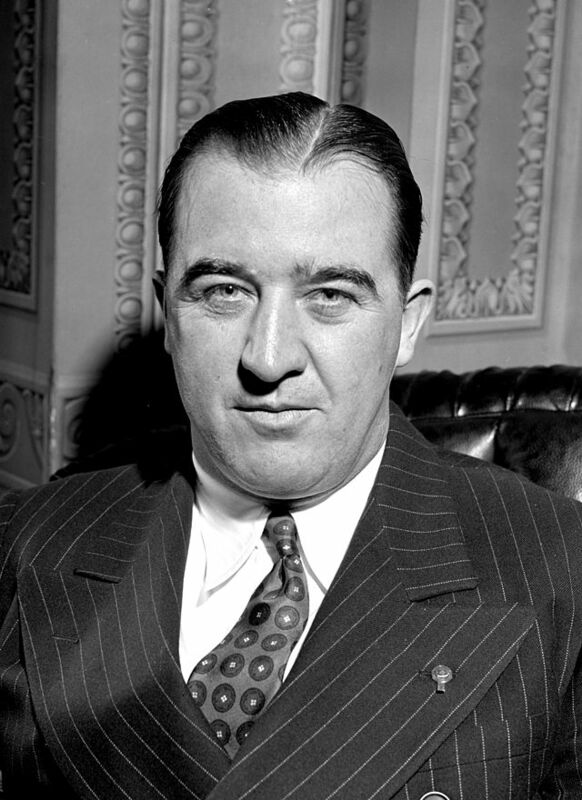 Voted in as baseball commissioner on this date in 1945, Happy Chandler did not officially take over until Nov. 1 of that year. On this date in 1945, Baseball owners voted for Albert Benjamin “Happy” Chandler to take over as the game’s second-ever commissioner. The first, Kennesaw Mountain Landis, a former federal judge, died on Nov. 20, 1944. Landis, famous for his thick set of wavy white hair and near-absolute authority, served the game for nearly a quarter century. Owners appointed him in 1920 to fix baseball’s ills following the Black Sox scandal. The Chicago White Sox (or, the Black Sox) threw the 1919 Series for money. Landis kicked the dirty players out of baseball. The Judge, as people called him (Some called him the Squire. ), cracked down on gambling, fought with Babe Ruth and kept baseball going even after the U.S. went to war on Dec. 7, 1941. “We’ll play as long as we can put nine men on the field,” Landis said as spring training began. No candidate could get the needed two/thirds vote. Finally, the owners added Chandler’s name to the mix and quickly found the next head of major league baseball. (Many owners liked Happy’s D.C. connections.) And, the controversies began almost right away. Chandler stayed in the Senate for several months, supposedly so he could vote on some important impending bills. He didn’t really take over as commissioner until Nov. 1, missing out on the World Series. Writers and other sophisticates also didn’t care for Chandler’s folksy manner. He liked to tell country stories and sing My Old Kentucky Home in front of audiences big and small. Chandler was a “Kentucky windbag,” some said. But, in the spring of 1947, Chandler did the right thing. He did something the powerful Judge Landis could never do. Landis said during his tenure that “signing black players is all right with me.” But, it never happened. Some critics still blame Landis for keeping the majors an all-white league for nearly half the 20th century. Branch Rickey formally signed Jackie Robinson on Nov. 1, 1945, about six months into Chandler’s tenure and nearly one year after Landis’ death. Rickey signed the future No. 42 to a big-league contract just before the 1947 season. Chandler could have voided the contract; it was within his power. Instead, he supported the integration of baseball. Chandler’s tenure as commissioner lasted just one term, about six years. He later ran for and won a second term as Kentucky governor from 1955-59. Inducted into the Baseball Hall of Fame in 1982, he died June 15, 1991, age 92. 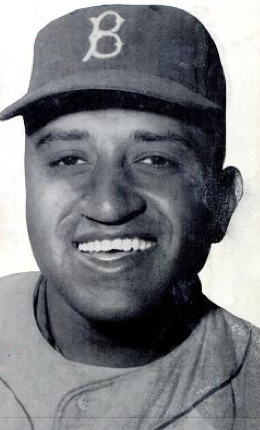 Don Newcombe, sober since 1967. Don Newcombe won the Cy Young Award 58 years ago today. A few days later, he added an MVP. Newcombe did much to make fans of the Brooklyn Dodgers stand up and cheer. The young man from Madison, N.J., made a quick, and most favorable, impression in his rookie season of 1949. He compiled a 17-8 record with a 3.17 ERA (130 ERA+). The 6-foot-4-inch right-hander with the big wind-up was selected to the All-Star team, earned Rookie of the Year honors and finished eighth in the MVP voting. He followed that up by going 19-11 (3.70 ERA, 111 ERA+) in 1950 and 20-9 (3.28, 120 ERA+) in 1951. He also led the league in strikeouts in ’51 with 164. Then, Newk left to join the Army for two years during the Korean War. He came back in 1954 and only went 9-8 with a 4.55 ERA. Was he done? Hardly. Brooklyn won its only World Series title in 1955, thanks in large part to Newcombe. He compiled a 20-5 record with a 3.20 ERA (128 ERA+). He also led the league in WHIP (1.113) and was seventh in MVP voting. But ’55 was just a warm-up for 1956. That year, Newk went 27-7 with a 3.06 ERA (131 ERA+). Once again, he also led the league in WHIP, a sign of his excellent control. On this date in 1956, Newcombe became the first pitcher to win the Cy Young Award. He added the National League MVP Award a few days later. He remains the only player to take home those two awards and also win Rookie of the Year honors. Then, it all crashed. Newcombe only pitched four more seasons. Did his fastball fizzle out? Did that great control on the mound suddenly disappear? Nope. “It had to be the drinking,” Newcombe says in the book 100 Things Dodgers Fans Should Do Before They Die by Jon Weisman. Newcombe, with a 149-90 career record, left baseball following the 1960 season. He battled booze a little longer. Finally, he sobered up and inspired others to do the same. The great former Dodger shortstop and speedster Maury Wills credits Newcombe for getting his life onto the path to sobriety. Big Newk is 89 years old. If you watch Dodger games, you’ll see some shots of him throughout the season. He’s the guy in the sharp suit and fancy hat. He looks every bit the gentleman. Don Newcombe didn’t make the Hall of Fame. Not the one in Cooperstown, that is. To many, though, he is a Hall of Famer for what he did off the field.